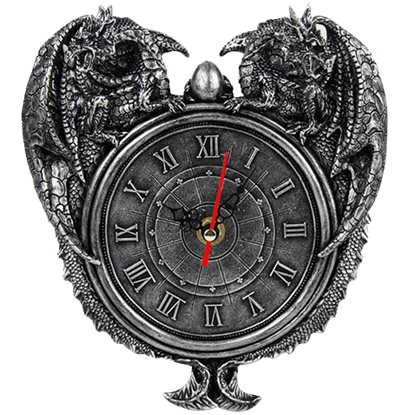 If the rumors and myths are true, the one thing that dragons have plenty of is time, and that is why they make excellent time-keepers. 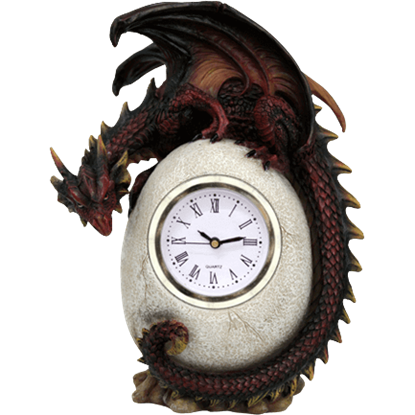 So why not let a dragon keep time for you by adding one of our great dragon clocks to your decor? 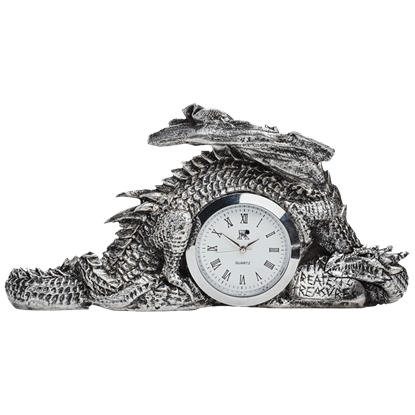 Not only are they great display pieces, but they also happen to be quite helpful and budget-friendly, too! 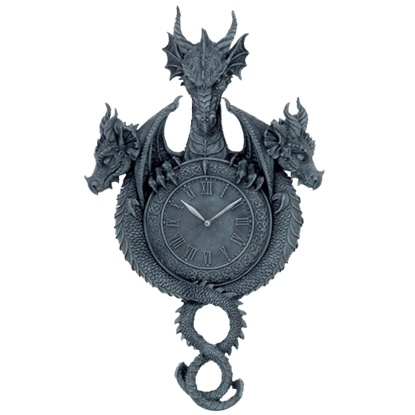 Many of our dragon clocks are crafted from cold cast resin and feature a high level of detail, making each one a stunning piece that is worthy of display. 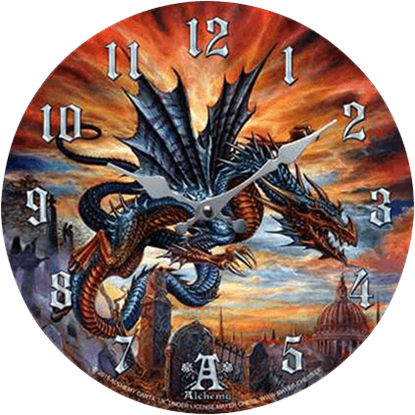 Others are circle wall clocks featuring the dragon-themed work of famous fantasy artists. 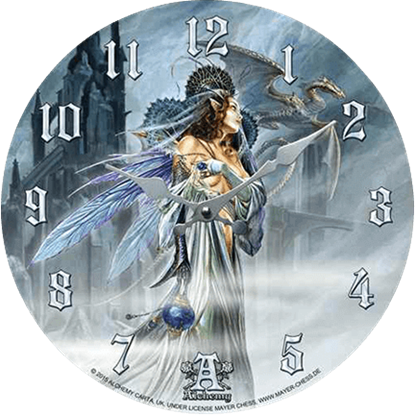 Some of the fantasy clocks found here are hanging clocks designed to be mounted on a wall for all to see. 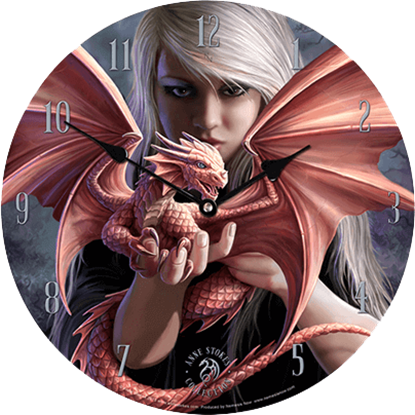 Others, like some of our dragon table clocks, are better suited for desks and bed stands, where they will keep time and remind others of the hour and the minute. 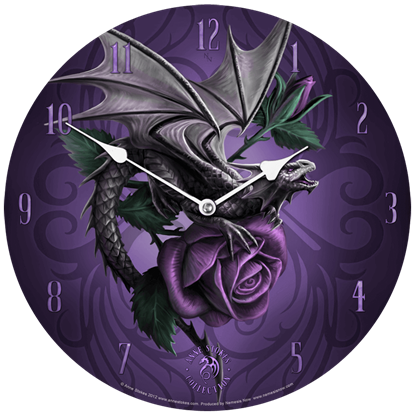 Time is the one thing that dragons tend to be very protective of, because it is the one thing you cannot take back once it is lost, although luckily, all of the dragon clocks here are pre-screened to make sure that these dragons do not mind sharing a little bit of their time, and their time pieces, with you or your loved ones. Imagine strolling the streets of your city. 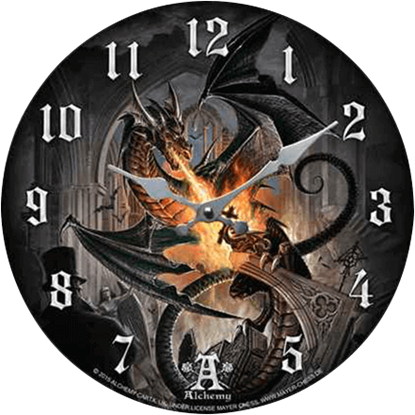 As you pass the graveyard, you look up only to see a terrifying dragon fly right over your head! 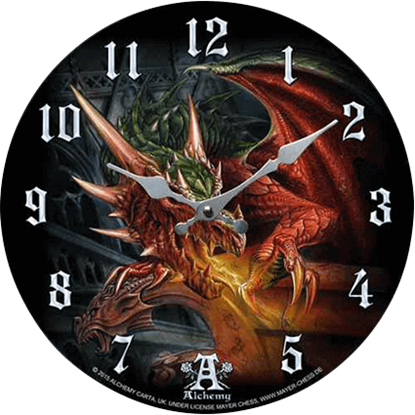 With the Flight of Terror Dragon Clock, this kind of scene can be depicted in your decor. 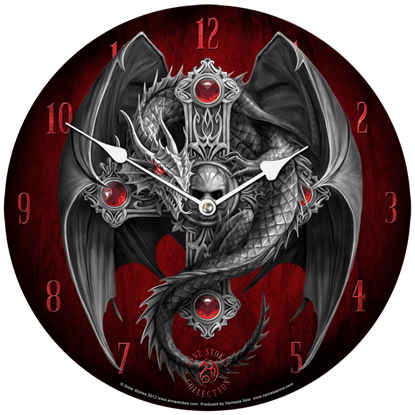 Vibrant red offers a hint of horror when paired with the silvery tones on this wall clock. 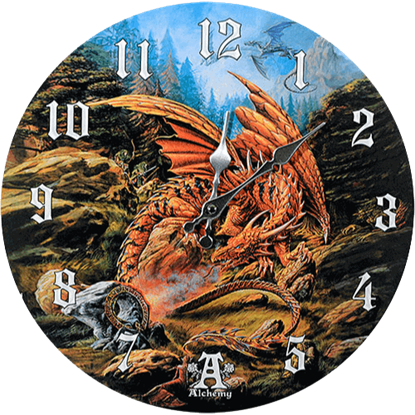 The Gothic Guardian Wall Clock by Anne Stokes reveals a metallic dragon entwined around a skeletal cross embedded with rubies.